Global Health Teams alleviates suffering and improves the lives of people in need by delivering quality compassionate healthcare, support and education. Global Health Teams (formerly Seattle-King County Disaster Team) has operated medical clinics in rural southwestern Haiti since 1998. We also educate local Haitian medical professionals on a variety of topics including emergency medicine, chronic disease management and laboratory science. Our focus is only on healthcare and health related education and care is provided to everyone regardless of religious affiliation or belief system. We need volunteer physicians, nurses, EMT/paramedics, laboratory professionals, physician assistants and nurse practitioners. We also take a limited number of non-medical personnel to volunteer in our patient intake area. This is a great short-term opportunity to volunteer with an established organization. 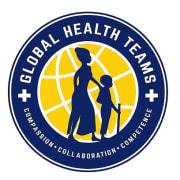 Would you recommend Global Health Teams?